A majority of the time, when Vladimir Putin is in a car, he’s often being driven from point A to B with high-level security, extreme comfort and relaxation. However, the Russian President and world’s most powerful man is a car enthusiast and has been caught behind the wheel on numerous occasions. 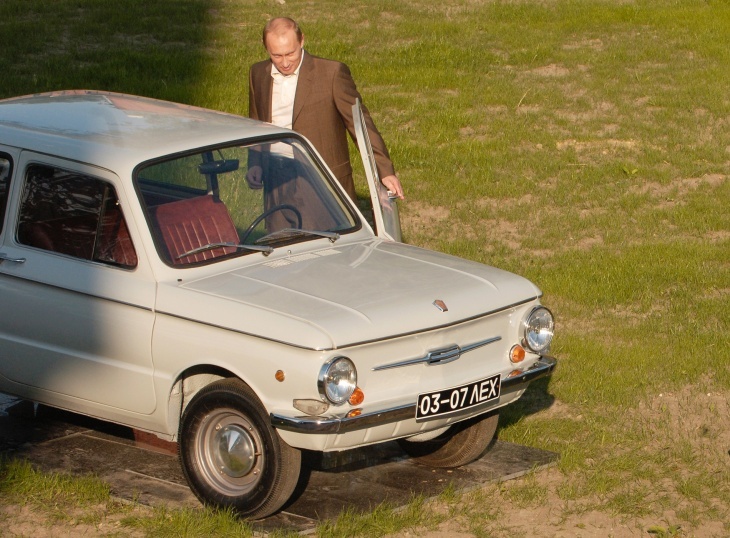 The President is a huge fan of Soviet cars and in particular, vintage Soviet models such as the Gaz and Zaz models. In regards to modern popular car brands, Putin is a big Mercedes fan and has a Mercedes 4×4 as well as a few models of limousine S-Classes. One of the most luxurious and high-profile cars in Putin’s possession is of course the Aurus Senat, which is Russia’s equivalent of the world-renowned Rolls Royce Phantom. Here are a collection of photos that show the Russian President, Vladimir Putin taking cars for a spin, with details of the car listed.